The weather outside is beautiful, not frightful. But before you know it, the cool Massachusetts mornings and crisp afternoons of autumn will give way to a long and unforgiving season of winter’s chill. Do you winterize your home to prepare it for the snow and ice to come? You should. This time of year, you probably think about home maintenance chores such as cleaning out gutters, raking the yard and closing up storm windows to keep cold air outside where it belongs. But it’s better to tackle all of your home’s winterization needs now than to wait until you need a snowsuit. Here’s are some of our recommendations for keeping you and your home warm, safe and dry until spring comes around again. If there’s anything worse than waking up to frozen water pipes, we’re not really sure what it is. When temperatures dip into the teens, any homeowner who has ever dealt with frozen pipes before might get a little nervous. Maybe you leave faucets dripping, too. But pipes can freeze in temperatures above 20 degrees if they’re exposed to those temperatures long enough. Pipe insulation and heated pipe wrap can help prevent the problem. So can sealing up air leaks that let cold air circulate around plumbing in crawlspaces and basements. If you’re not sure where your pipes are the most vulnerable, your plumber can help you find the spots that need protection. Ice dams can sure look pretty with all of the glistening icicles hanging off the roof’s edge. Too bad they have the power to ruin shingles, tear down gutters and send water leaks into your home. The problem isn’t the weather, it’s the way that your home reacts to it. And it usually boils down to insulation and ventilation. When the roof is warmer than the eaves, you have a recipe for an ice dam. Ventilation and insulation are This Old House’s recipe for stopping ice dams before they can happen. You need ample ventilation throughout the attic from eaves to ridge because that regulates the whole roof’s temperature. And with more insulation on the attic floor, your attic will have less heat to build up in the first place. Get your caulk gun, weatherstripping, silicone, and cans of spray foam insulation ready. It’s time to seal air leaks wherever you can find them. There are countless places in every home where a gap might happen that lets cold air get inside. And where cold comes in, you can also lose heat. Sealants are the answer, and they’re one of the easiest DIY projects around the house. Throughout the basement or crawl space, especially along vertical edges in corners, seams between the basement ceiling and first floor, around basement doors and daylight windows, and along the walls. When you head outdoors, check every vertical seam along the siding and trim. Caulk those, as well. But you should never caulk horizontal siding seams. Window repairs and storm windows are sometimes a better choice than replacements when the home is very old and the windows are original. Replacement windows can be a great investment or an expensive mistake. A return on the investment only happens under the right conditions. If your existing windows are very poor, replacements could make a huge difference in comfort and energy savings. But if they’re in fairly good condition, they might require replacement again before you see any ROI. And if your home is quite old. If you can’t invest in high-quality replacements, storm windows are a better option. If you decide to take the plunge, focus on quality first. Budget windows are still not exactly cheap and they have a shorter lifespan. Look for multi-pane windows with gas between the panes, high-quality seals and low-emissivity glass that helps keep heated air inside your home and damaging UV rays out. While you’re at it, think about energy efficient replacement exterior doors. If you use a fireplace or any other wood-burning appliance, now is the time to give it a checkup. You can hire a chimney sweep, or you can do it yourself with a chimney-sweeping broom. (Caveat: This is an extremely messy job, and you’ll need two people: one on the roof and one inside at the hearth). Chimney-sweeping logs are better for periodic cleanings after all of the soot buildup has been removed. A fireplace and chimney inspection will find creosote buildup, weak spots in the chimney, issues with the damper and many other potential issues that could affect fireplace performance and the health and safety of your family. Insulation is one of the most important ways to give your home a nice, warm hug. Unless you know for sure that the attic is highly insulated, chances are it could benefit from more. Blown-in insulation is very easy for your installer to add, and it can fill every nook and cranny where roll or batt insulation can’t reach. There’s even a DIY option, but equipment rental costs can be steep. Only use unfaced batts, which is the type that does not have a backing of paper or any other material, or loose/blown-in insulation if you are adding more insulation over existing. Don’t squash insulation into corners and other tight areas. This disrupts ventilation. Never add insulation to an attic ceiling unless you get the opinion of an insulation expert first. The paper backing is a vapor barrier, and the attic floor should only have one of those. It should be on the bottom, touching the attic subfloor between the joists, and it must always face toward the living space. On an attic floor, that means the paper side must always face down toward the rest of the house. If you are adding new insulation over existing insulation, an additional paper backing/vapor barrier will cause condensation problems that can soak the attic floor. Cleaning the furnace can help extend its life. 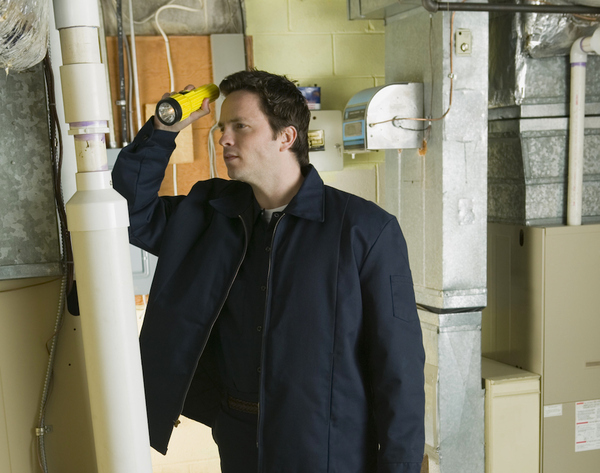 We’re moving headlong into home-heating season, so it’s time for an HVAC maintenance call. And this time, think about getting a ductwork inspection, too. Air leaks throughout the ductwork can send your expensive heated air into the attic, basement, between the walls and anywhere that the ductwork might run. Your technician will clean the HVAC equipment, look for problems and make repairs on the spot or schedule them for later. Sometimes, parts aren’t available and must be ordered. And if you want a ductwork checkup, there’s a test that can reveal how much air is lost through leaks in the system. Air duct sealing can close most or all of the leaks from the inside out, which results in a major improvement in home comfort and energy savings. Is your home never really warm in winter? Are your heating bills worse every year? Do you turn up the thermostat with no real measurable improvement in comfort? Does the system cycle on and off repeatedly and frequently? Do you hear strange noises when the system is running? Do you have stubborn cold spots? (A new mini-split system can eliminate those). Any of these could be a sign that your existing system is on its way out. Your home is a highly sophisticated system with numerous smaller systems working throughout. And when everything is performing like it should, the house becomes a well-oiled machine of peak energy efficiency and comfort performance. But when any of the systems is weak or broken, it can affect everything else. Fall is the classic time for home maintenance and repairs. So now is the perfect time to give your home a thorough checkup and take measures to improve all of the small and not-so-small issues that you can find. Your friends at Rodenhiser are here to help. We have served Massachusetts homeowners throughout the Route 495 / 128 area since 1928, and we’re on the job for you, as well. 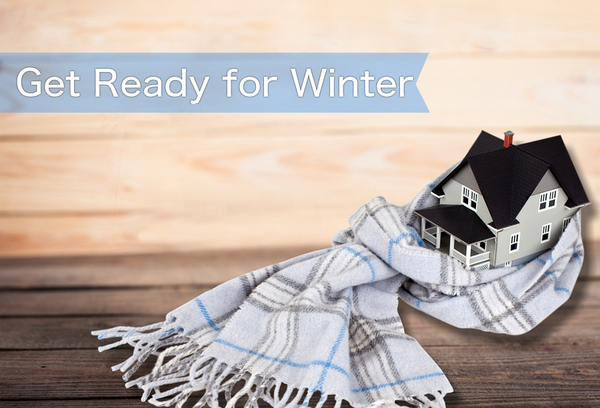 Call Rodenhiser today and we’ll get your home ready for the winter season before it has time to settle in. With good planning, your new bathtub installation can be a worry-free job. 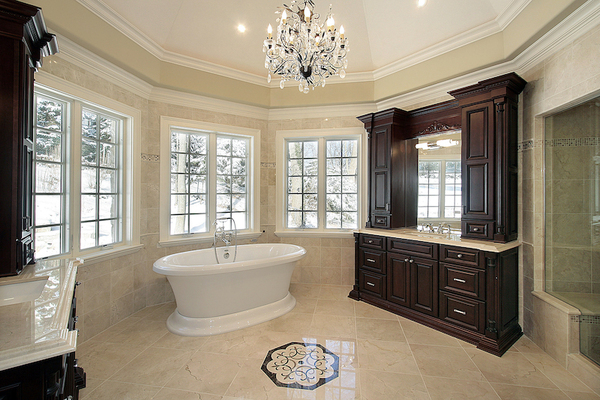 Bathroom improvements rank among the highest in return on investment. So most of every dollar that you spend converts straight into a higher home value. A new bathtub installation is worth it, especially if the one you have now has seen better days. And you might even install it on your own. Plumbing doesn’t pose big dangers the way that electrical work does, but it not always simple, either. We have no doubt that you can install a new tub on your own. But before you begin, we have a few tips that can help make the job a little easier. And if you decide that you’d rather let someone else hands it, Rodenhiser is just a phone call away. Bathtubs are large, but most doorways are not. So moving a bathtub through a doorway usually poses a few problems. If the tub is original to the house, it might never have come through the finished doorway at all. So you shouldn’t assume that it will fit through on its way out. Measure the tub, doorway and also the replacement tub before you take on the project. Also take note of any obstacles, such as the toilet or sink, that you’ll need to work around. You might be surprised by how many people forget this headache-saving step. In a worst-case scenario, some old tubs can be cut into pieces for removal. But you’ll still need to bring in the new one. All tub and shower faucets and figures are not created equal. In fact, some of them are completely proprietary. If you want to install a whole new set of shower and tub plumbing fixtures when you install the new tub, stick to the same manufacturer as toehold set or count on replacing all of the plumbing at the tub. That might include what’s behind the tile or shower wall. Most shower handles are designed with notches or grooves on the back side that align with opposing notches or grooves on the stems that jut out from the wall. If they aren’t compatible, the handles won’t work. Some sets are universal, but you won’t find as much style and design variety with those. This might seem like overstating the obvious, but more than a few homeowners have disconnected a water supply line only to send a spray of water throughout the room. Never disconnect any line before you shut off the supply. Your bathtub installation with thank you. If you’re lucky, the hot and cold shutoff handles, which look the same as the shutoff at the toilet water supply line, will be accessible inside a panel on the wall behind the shower. For example, if the bathroom adjoins a bedroom, look on the bedroom wall for a plumbing access panel. In many cases, there is no shutoff at the tub. Look elsewhere, such as at the water heater, under the sink on in the basement under the bathroom. When all else fails, you’ll need to shut off the main water supply to the house. Tubs are bulky. Even lighter-weight tubs made of acrylic usually require two people, if not for the weight then at least to manage the awkward design. Two people are nearly always required. If it’s a cast-iron tub, you will probably need more hands to help carry it. They can weigh as much as 500 pounds, and some custom designs weigh even more. If you can’t find a helper, it’s really important not to take on the job alone. You’ll need a plumber. There are too many possibilities for accidents or injury, and there’s also the risk of damaging the tub and other fixtures in the room if you go it alone. Silicone performs better than acrylic caulk for tubs, which easily degrades in steam and water. An old, freestanding clawfoot tub usually stands on its own. As long as it aligns with the drain in the floor, the rest of the installation should be simple. But nearly every other style requires lots of measuring, leveling and anchors to hold it in place. Some also require reinforcements in the floor. Bathtub bottoms slope down toward the drain, which allows them to empty out without leaving puddles inside. But that’s built into the design. When you level the tub, you ensure the slope is correct. A dry fit before you’re ready to install lets you level the tub and mark the surrounding wall so anchoring it will be a simpler job once you’re at that step. And finally, if the tub is quite heavy, think about reinforcing the floor’s framework. You might need the help of a contractor for that. A large, cast-iron tub can easily exceed 1,000 pounds when it’s full of water and there’s a bather inside. Whether you’re taking on a full bathroom renovation or you just want a new tub, replacement is always a big job. And each job is different, too. If you follow step-by-step directions by the tub manufacturer or in a DIY guide, you will still nearly always run into a problem along the way. Good thing you know a plumber with several generations worth of experience. Rodenhiser has improved the lives and homes of our Massachusetts friends and neighbors for over 85 years. And we’re happy to improve yours with a brand new bathtub and all of the fixtures. You could take on the DIY work, how much nicer will it be to let someone else handle the hard part? Call Rodenhiser and we’ll do the heavy lifting. The plumbing pipe in your home is used every day, so your choice should last. We’ve come a long way in potable water supply lines, and in some ways we’ve ended up nearly where we began. But that’s a good thing. 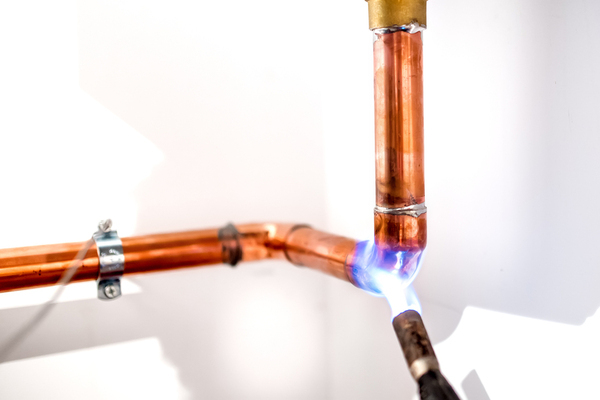 Copper pipes are the top rung in residential plumbing. And they’re not as expensive as you might think. Of course, many homeowners now opt for PVC and CPVC. And PEX is becoming much more popular in retrofits because it’s flexible. The important thing is that you have choices. Safe piping material that’s available today doesn’t put your family at risk of hazardous materials, not like the old galvanized. And certainly not like lead pipes that were astonishingly not banned until 1986. If you’re building a new home or replacing the pipes in an older one, here’s what you can expect. The vast majority of new construction homes use PVC and CPVC plumbing pipe. Many renovations use it, too. It’s an economical choice. And unlike copper, it doesn’t require soldering. Lengths of PVC and CPVC pipe are joined using a combination of primer/cleaner and glue or a glueless compression fitting. Compression fittings aren’t appropriate for every joint. PVC is polyvinyl chloride, and CPVC is chlorinated polyvinyl chloride. Both are safe for water supply lines, but CPVC can withstand temperatures up to 200 degrees. PVC can’t. For this reason, you’ll often see both types in a residential plumbing job. Rigid PVC pipe is frequently used for sanitary sewer lines. And because CPVC can withstand hot and cold, it’s often used for both the hot and cold water supply. A good soldered joint has a very low rate of failure. You might imagine that the water supply pipes used in ancient Egypt would have undergone a few improvements by now. But copper is resilient in more ways than one. Of course, it’s prone to some corrosion, but it takes many, many years. By way of comparison, old galvanized plumbing pipe is often the root cause of poor water pressure. It corrodes from the inside out, which makes the thick sediment both invisible without cutting into the pipe and hazardous to water purity. Copper doesn’t do that. Some homeowners balk at the idea of copper because of the expense. But that’s not as accurate as you might think. Yes, copper does cost more than PVC and CPVC. But it’s much stronger, has a natural biostatic quality that doesn’t breed bacteria, and it’s environmentally friendly, too. Copper recycling is big business. Cross-linked polyethylene or PEX pipe is really more of a hose than a pipe. It’s incredibly flexible, which means it will bend and curve instead of breaking or kinking when used in unusual or confined spaces. This flexibility also means PEX can be installed with fewer fittings, as it bends around corners. PEX has a shorter lifespan than copper. And it’s sometimes prone to fitting failures. Any pipe is capable of developing a leak, but the brass fittings used with PEX are more likely than a joint that’s soldered well. PEX also has limitations. It can’t withstand freezing as well as CPVC or copper, so it shouldn’t be used in a crawlspace. PVC and CPVC cover the plumbing in the vast majority of American new construction homes and remodels. But that doesn’t make them better. They’re convenient to install and have a lower price point. PEX is more of a specialty plumbing pipe, although it can be used for a home’s entire water supply in some areas. Some homeowners love it, and for some it’s a method for navigating a difficult space here and there where copper and PVC pose a great challenge. Copper costs a little more and offers many benefits. It has a higher resistance to breakage in freezing conditions, which makes it an ideal choice for Massachusetts homeowners. It also has a remarkably long lifespan. There’s no glue involved with the installation, and the low corrosion and natural properties of copper help reduce the likelihood of bacteria in the water supply. Whichever you choose, Rodenhiser can install new plumbing or re-plumb your existing home using the most reliable and safest pipe on the market. When you need an expert plumber in Framingham, Marlboro or anywhere in the Route 495 / 128 area, call Rodenhiser. Not every leak can carry you away. Leaks aren’t always as obvious as a puddle under the sink or a drip that comes from the ceiling. Sometimes they’re sneaky, hidden things that waste natural resources, drive up utility bills and even risk the integrity of your home. Left to continue, the damage will always worsen. But caught and repaired early, you’ll save yourself a lot of headaches. The evidence might not always be plain, but it does usually emerge in time. Here are 5 signs that you might have a leak in or around your home. Water and wood are not the best of friends. If unprotected wood, such as your floor joists and subfloor, stay wet for an extended period of time, they’ll eventually break down and rot. And that leads to soft or saggy-feeing spots on the floor. Water that drips from a pipe or seeps out from around the shower or another fixture can soak the wood subfloor and joists for days, weeks, months or even longer before you realize that there’s a leak. If your home has a soft spot that’s near any plumbing fixture or pipe, a call to a plumber right away can help minimize the extent of the damage. Utility bills can go up for a number of reasons. Rates might be higher at certain times of the year. And sometimes rates increase permanently. But if your water bill is inexplicably high, some of the water that you pay for every month might never make it to any tap. If your water meter moves when there’s no water running inside, it’s a pretty safe bet that a leak is the cause. Leaks can happen anywhere there’s a pipe or plumbing fixture. Sometimes, they’re in an obvious place, which lets you tackle the repair quickly. But some sneaky leaks waste gallons upon gallons of water and leave no trace of evidence except for a utility bill that keeps getting higher and a meter that keeps advancing. Where there’s a mold issue that requires cleaning, there’s a moisture problem that might indicate a leak. Mold needs a food source, oxygen, some warmth and water to grow. The food may be natural fibers, bread, grease, soil and many others. The paper on drywall can harbor mold. So can wood and any surface that’s dirty. Oxygen and warmth aren’t hard to come by in any house. As for the moisture, a water leak will do the trick. Mold is especially common in bathrooms, basements, and kitchens. But it can grow almost anywhere. The telltale, moldy, dark stains are a clue that you might have a water leak from a water supply line or a broken drain. Water might be pure when it flows through a supply line, but it doesn’t stay that way for long unattended. That’s especially true in summer, but it can happen any time of year. Chronic wet conditions can create musty odors or sour ones, and they’re often difficult to track down. Musty smells usually indicate mold and mildew. They smell a bit like soil. Sour odors, however, can mean that water has pooled and stagnated, which can breed all manner of bacteria. If the odor is foul and repugnant, you might have a sewer line leak that’s letting gas permeate the house. Most homes develop a crack or two in the foundation over time. That’s a natural effect of settling. But a brand new crack is always a good reason to investigate. If a water leak is the cause, stopping it will help prevent further damage to the structure. Water softens up the soil that stabilizes your home’s foundation. If there’s much water, it can wash the soil away. That puts the whole house in danger. And in wintertime, a concrete foundation or the mortar between bricks can easily crack under the pressure of expanding frozen water. Water is an incredibly versatile thing. It’s vital for life, and no one can live without it. But it’s also a destructive force that can create widespread damage. Unfortunately, some of the damage might be done before you realize that there’s a leak afoot. If you suspect a leak in your home, time is of the essence. Fortunately, Rodenhiser has helped Massachusetts homeowners in the Route 495 / 128 area for over 85 years and counting. Call us today and we’ll find the leak that’s plaguing you. Certain times of year are just right for HVAC maintenance, and we’re in the middle of one now. You might have already switched to heat for taking the edge off some of the cooler nights. But the full-swing season is still ahead. It’s better to find a problem early than to wait for cold weather. Pre-season heating checkups give you and your maintenance technician time to spot any problems that might have crept in through the last few months of system dormancy. There isn’t as much of an industry rush, not like there will be when homeowners all around Framingham and Concord switch on the system for good. If maintenance is on your to-do list, here are some summer-end tips that you can handle on your own. For everything else, your HVAC technician is the right call. He can clean, inspect and make any repairs just in time. 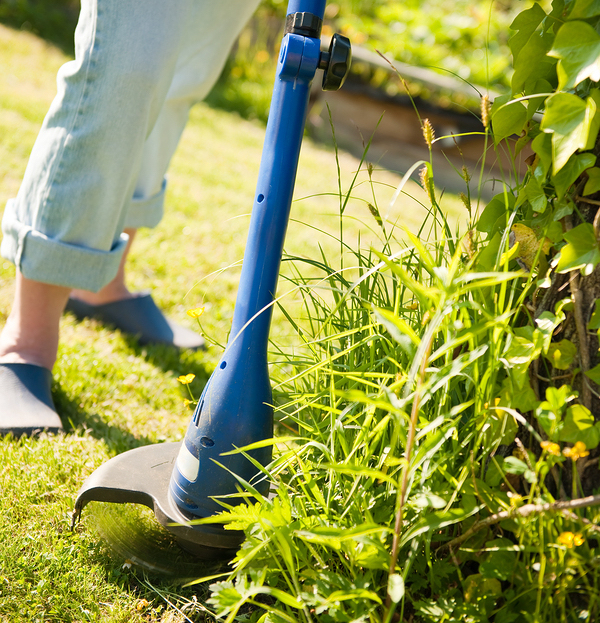 Trim grass and weeds from around the outdoor component and rake them away. No matter how many times you’ve heard it, it bears repeating: air filter replacement is the #1 thing that any homeowner can do to help preserve the life of an HVAC system. It’s inexpensive, takes only a few minutes and helps keep the system breathing freer. It also helps keep dust and other particles from making their way inside. The general rule of thumb is to replace the filter every 60 to 90 days. But that is just a guideline. Check the filter before switching on the heating system at the end of the summer. Going forward, check it monthly and replace when it begins to look dirty. Unless your filter is washable / cleanable, resist the temptation to vacuum or wash out the debris and put it back. Although vacuuming works as a temporary fix with some filters, it can easily damage the delicate fibers. With a central heating and air system, the same vents or registers that send cool air into the rooms all summer carry warm air throughout in winter. So the vents are likely clear and ready to go for the heating season. But it’s a good idea to check for obstructions, such as chairs or boxes, to be on the safe side. Open all vents, too. Closing off some of them isn’t the most efficient way to control airflow through the house. Talk with your technician about an air-control damper system inside the ductwork instead. Ceiling vents probably don’t have debris immediately inside. But the law of gravity isn’t as kind to floor and wall vents. Remove the covers and check inside using a flashlight. If you see any dirt buildup, vacuum it out. You’ll also want to explain the issue to your technician. On top of dramatically reducing HVAC efficiency, air leaks in the ductwork can allow dirt and debris to collect inside the vents. You might benefit from duct cleaning and sealing. 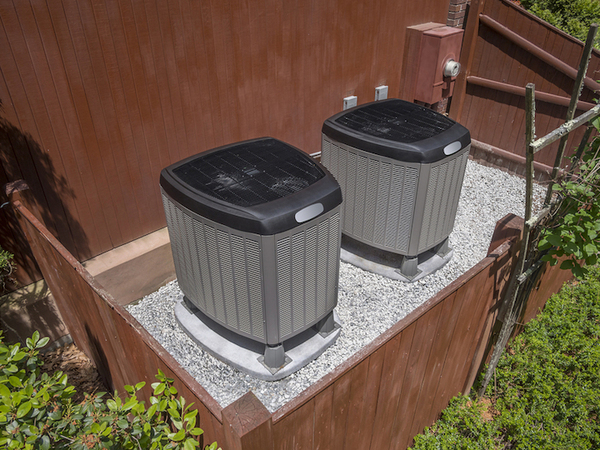 DIY end of summer maintenance for your HVAC system only takes a little time, and the effort pays off in a healthier and more efficient appliance. Then for a full system check, which can really be a life-saver, Rodenhiser’s heating professionals can ensure your system is fit, working normally and ready to keep you cozy through another long winter. If your system hasn’t had its seasonal checkup, there’s no better time than now to call Rodenhiser. When Should I Replace My Garbage Disposal? Your kitchen garbage disposal gets a real workout, and it might even take more than its fair share of abuse. You may never know how many chicken bones, half-eaten sandwiches, and even small coins have run through the powerful jaws by the time you need to replace it. The disposal serves an important purpose, and that means it’s one of the most frequently used appliances in the kitchen. 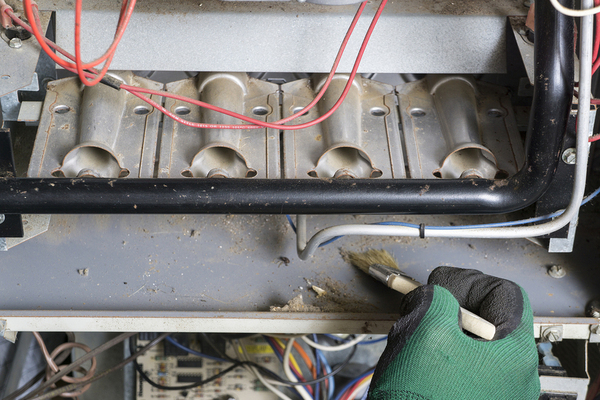 Since nothing lasts forever, here’s how to spot a disposal in distress so you can replace it before frustrating damage and costly repairs start to creep in. Clogged drains and jammed blades don’t always mean that someone tried to dispose of no-no’s such as fibrous veggies or a plastic action figure. If your disposal seems to be more trouble than it’s worth, then maybe it’s just not doing its job. Not all models are the same and yours might be undersized for the amount of use that it gets. A larger replacement could solve all of the ills. That said, age, wear and tear could also be the culprit. Blades dull, motors get weak and garbage disposals do eventually break down. At H&R block’s Block Talk blog, guest contributor and Apartment Therapy writer, Taryn Foil, says you can expect about 10-to-12 years from a disposal, depending on how often it’s used. If you push the reset button frequently, it’s probably time to let it go. Sometimes a leak is simple, and sometimes it’s a sign of expensive trouble. Your garbage disposal is a heavy appliance. If you’ve never handled one, you might be surprised by how much it weighs. That’s one reason why it’s rarely a good idea to install one on your own. 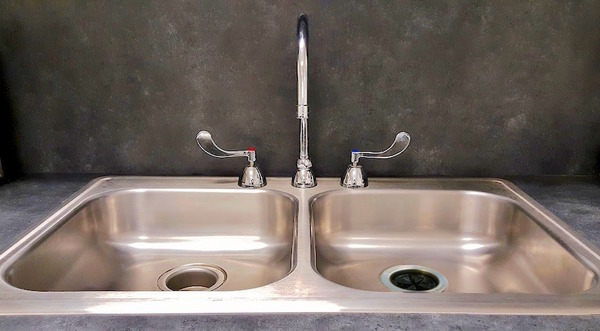 The sink does support the disposal’s considerable heft, but even a small gap around a seal can lead to major leaks. Disposals can also leak in other places besides the mounting hardware and top seal. Every seam in the appliance has the potential for a leak, especially considering how operation makes the unit vibrate. If water drips out, you might have a bigger problem than a simple loose connection. Think about how much food has gone down the disposal since you’ve owned it. If you’re not the first owner of the house, you can add more to the list. 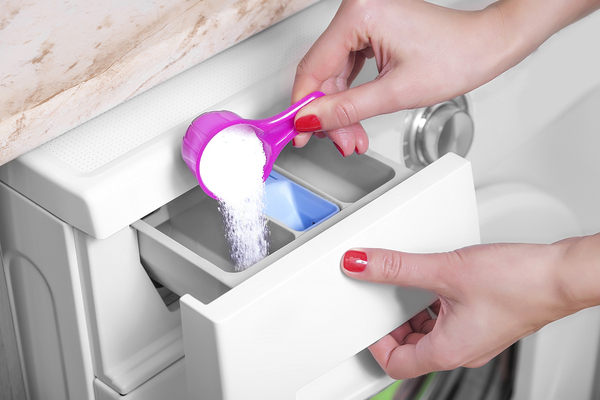 Every food particle can potentially lodge under a blade or deep inside the unit. When that happens, no amount of vinegar may resolve it. Disposals are sometimes a major source of sour, spoiled kitchen odors. If you do a lot of food prep in the sink, there’s the potential for food contamination, too. So if every trick that Pinterest has to offer still leaves you with a smelly sink, a new unit could solve everything. If you’re getting a kitchen remodel, you’ll probably get a new sink in the process. 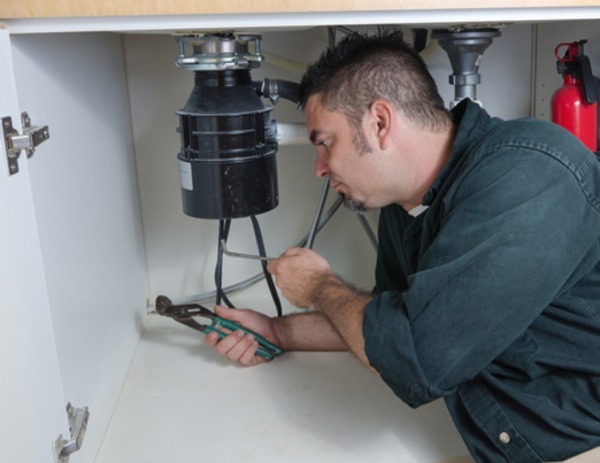 While it’s possible to uninstall a garbage disposal and reinstall it once the new basin is in place, you could be asking for trouble. Disposals are intended to stay in place throughout their whole lifespan. Because of the unique way that they lock with the sink drain opening, removal could damage the mechanism. Factor a new unit into the kitchen remodel budget and you’ll have many years of sharp blades, a powerful motor and good service ahead. Some people love garbage disposals for the convenience that they offer, and some people think they’re nothing but trouble. As long as they’re maintained properly and kept clean, yours should last for over a decade. But when signs of trouble pop up, it’s better to be on the safe side. Replace your unit and scratch one more stress inducer off your list. At Rodenhiser, we’ve built a reputation on reliable, professional and courteous plumbing service. It’s been that way for over 85 years. If you live in the Massachusetts Route 495 / 128 area and need a garbage disposal replacement, call Rodenhiser today. Some jobs are too big, dangerous or costly to think about anything but professional work. DIY work is perfectly fine for some jobs that you face around the house, but chances are you’ll one day need a professional plumber. We live in an era where homeowners are empowered through detailed project books, online repair videos and project episodes on home-improvement television shows. And that’s a great thing. But some projects fall more into the advanced category. Get a complex project right, and you’ll have plenty of reasons to feel proud about your plumbing abilities. But get them wrong, and you might be injured, cause more damage than you’re trying to repair or even face a fine from the city. To be on the safe side, always call a plumber if the project is far beyond your capabilities. Here are 7 of them where a pro might be a better choice than DIY. If the job that you plan to take on requires a permit, you need a professional plumber. These are typically bigger jobs, but “big” can also be relative. A plumber will know which work needs an official green light from local code enforcement and which doesn’t. For example, you could likely replace a faucet or your washing machine water supply hoses without applying for one. But if you need a new gas line, you definitely need a permit and a plumber. Permits help prevent shoddy workmanship and safety issues that can affect the home, neighboring property, and the city. They’re issued for a fee. And once the project is complete, there’s usually an inspection. If a permit is involved, take the safer and easier route and go pro. It’s happened to most homeowners. There’s a blockage somewhere in the home, and it affects more than one room. Maybe the kitchen sink is backed up, so is the guest bathroom sink and two of the toilets in the house won’t flush properly. It might indicate a blockage in the main line, and you’ll probably need a plumber to resolve it. Issues with the main line often need a lot more than a bottle of caustic drain opener. Any number of problems might be behind the blockage, and DIY attempts to clear the line might actually make it worse. Tree roots can grow into the main line and sometimes foreign objects get lodged inside. And sometimes a line breaks and requires excavation and replacement. A plumber has the right knowledge to diagnose the problem and the skills to make it right. 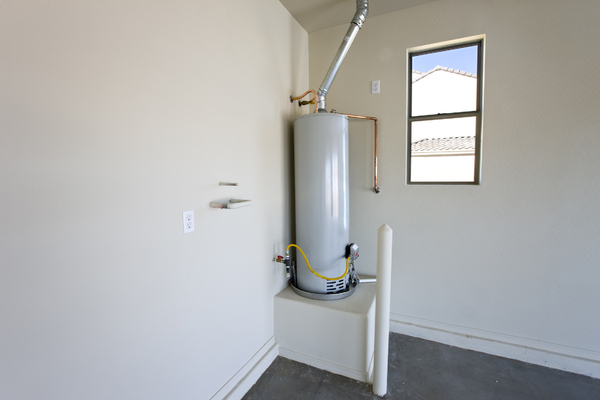 Water heaters can be fragile appliances and tank-style models are fairly heavy and awkward. Tankless styles are smaller, but they’re no less fragile. One false move and you might throw out your back or break the new appliance. Then you’ll be back at square one with a much lighter wallet. Water heater replacement usually falls into the “hire a pro” category. It’s not only the simple way to handle the job, it also helps avoid expensive loss from damage. And then there’s the issue of disposal for the old unit. You can’t set it out with the household trash. Aside from handling the water heater without risking damage to yourself or your property, there’s also the electrical wiring and gas line to think about. And if you have a tankless heater, the job might be doubly complicated. Unless you have plenty of experience, leave this job to a plumber. Even a new showerhead might be more complicated than it looks, once you consider the hardware that you can’t see. There’s nothing particularly technical about a bathtub or shower stall unit. In most cases, they’re molded from metal, fiberglass or acrylic and have no moving parts. But even a small shower is larger than an average doorway. How will you remove the old and bring in the new? Plumbing disconnect is another major factor. You might disassemble the drain and other plumbing hardware to remove the old bath or shower unit. But do you know how to put it back together again? And what if the drain line sags beneath the floor in the process? Installing a new tub or shower takes more expertise. If the unit isn’t level, it might crack or align improperly with the existing water supply and drain. And some acrylic and fiberglass units require a custom foundation underneath to serve as support since those materials flex under pressure. 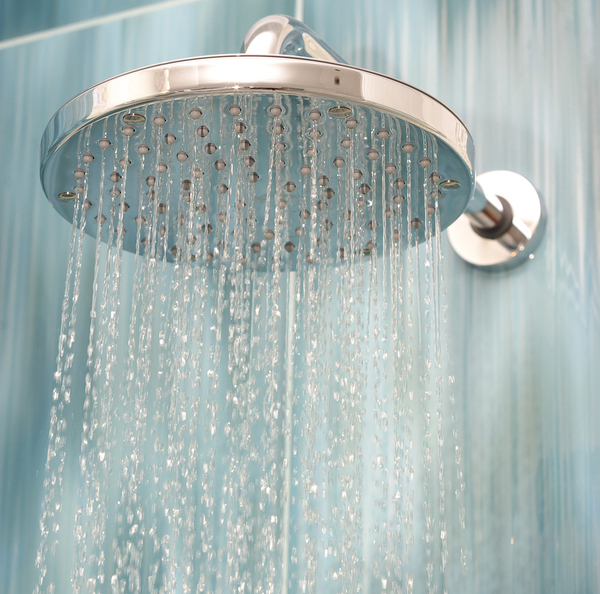 There’s more to a tub or shower than meets the eye, so it’s a good idea to call a plumber. Toilets also have no moving parts, at least if you only consider the unit and not the hardware. But they’re heavy, and separating the tank from the bowl to help facilitate removal is sometimes more challenging than it looks. That’s especially true if the tank bolts have rusted. Unless you want to turn yours into a planter, there’s also the disposal to think about. A plumber will deliver the new unit and take away the old so you don’t have to worry about it. Then there’s the installation of your new toilet. Although many use a reasonably standard measurement of about 12 inches, newer models vary. This measurement is called the rough-in, and it’s the distance from the wall to the center of the flange or ring that surrounds the drain opening in the floor. A plumber knows which toilet will work with your rough-in so you won’t have to move a drain. Sump pumps are never in a convenient location. They’re in a crawlspace or basement. And if you need a new one, chances are there’s water to contend with, as well. This is usually a job for a plumber. Sump pumps may be pedestal or submersible style. Pedestal units use a sensor that’s dropped into the water and ironically, submersible pumps float. While either type might last for 15 years or longer with regular maintenance and cleaning, you’ll probably have to replace one in time. The reason most people need a plumber for sump pump work is that if you get it wrong, you’ll have a flood. And if that happens, you’ll spend a lot more for a professional to set it right again. One of the most frustrating things homeowners can face is a mystery problem that can’t be tracked down. Sometimes, it’s a faint whiff of sewer gases. And sometimes is water in an area where it shouldn’t be. Plumbing gases are notoriously tricky to find. You might smell the odor for just a second in the foyer, but the real problem might be inside a plumbing vent stack near the back of the house. Or maybe it’s just a toilet or sink with a dried-out trap that hasn’t been used in weeks. Traps block gases, but only if the pipe bend stays filled with water. Tracking a water leak can be equally frustrating. And where gases smell awful and even make you sick, a leak can slowly worsen over time to rot floors and structural components and lead to mold. But if the leak is hidden behind drywall, you might not find it until it’s too late. In either case, the professional plumbers at Rodenhiser can track down the culprit and stop it in its tracks. DIY work is great and it can give you a sense of real accomplishment. But when the job is too big or the risks of getting it wrong are too great, the safer route is to call a professional plumber. You might save a lot of money, too. If that’s surprising, consider the costs of a repair or installation gone wrong. One call guarantees professional work the first time. If you need plumbing work, rely on the same company Massachusetts homeowners in the Route 495 / 128 area have trusted for over 85 years. 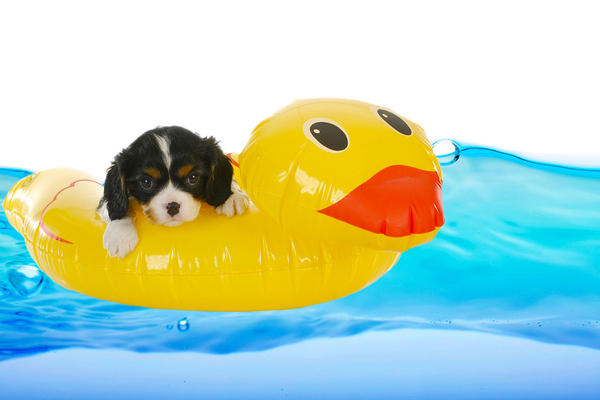 Rodenhiser can handle your plumbing issue no matter how big or small. So if you need a bathroom renovation or just a new kitchen faucet, call Rodenhiser and schedule an appointment. Take care of your investment, and it will serve you and your family for years. It doesn’t matter how long you’ve owned your washing machine. They’re never cheap, so it pays to treat them with kindness. Even a very low-end model costs several hundred dollars. If a front-loader is your thing, the price tag jumps to over $1,000. Extending the life of your washer doesn’t require any special tools, handyman experience or a plumber’s license. All that you need is a little bit of time and a good set of habits. About 4 times a year, take a peek at the supply hoses that carry hot and cold water to the machine. This is probably the most difficult part of ordinary homeowner maintenance. You might need a hand if the hoses are behind the unit and out of view. Check for leaks at the connections and inspect the length of each hose for tears, kinks, abrasions and other damage. Hoses are incredibly cheap, and in most cases, they’re simple to replace. But left unchecked, a damaged hose could cause major flood damage. You’re probably well-versed in operating a washing machine. But the owner’s manual might also have a few tips for better performance and tidbits for preserving the life of the machine. For example, a little detergent is great so why not use more on extra dirty loads? Most manufacturers warn against extra detergent. It’s better to launder twice. One of the primary reasons the manual is so important is that machines are so specialized now. Normal use and care for one might not be the same as with another. So put your feet up and skim through the booklet before you run another load. You might learn something surprising. Sometimes there aren’t enough hours in a day to get everything done. It’s not unusual to squeeze a few extra items into an already full load. But overloading a machine can dramatically shorten its lifespan. It can also lead to expensive repairs. Overloading causes undue strain on the motor and it can also throw the machine off balance. Your clothes won’t get as clean, and you might end up washing them again. So do yourself a favor and keep loads to a reasonable size. One laundry cycle consists of countless fills, drains, agitations and spins. That’s a lot of activity for one appliance, but it’s designed to take it. Over time, all of the movement might affect the balance, though. A machine that isn’t level might vibrate, rattle or even walk away from the wall during operation. Leveling a washer isn’t difficult. Set a small level across the front edge to check it from left to right. And then check level from front to back. If the bubble isn’t centered, there’s a problem. 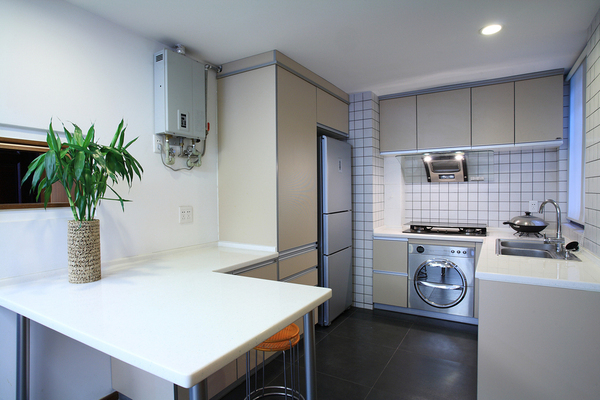 There should be appliance feet under the washer, and they usually adjust up or down by twisting. Ask for help if you can’t reach or turn them. Soiled laundry, detergent and fabric softener can leave residue inside and outside your washer. Clean it away and you’ll preserve the machine’s finish plus reduce the possibility of transferring grime back to freshly washed clothes. Front-load machines seal, and that gives them an additional problem. Mildew can build up when the machine can’t breathe. But cleaning the tub and gasket regularly resolves it. Take care of your washing machine and it will take care of your laundry. It’s really that simple. Of course, mechanical issues might eventually arise no matter how careful you are. But many of them are repairable, which gives you years of service out of your investment. If your washer is acting up, we can repair it or install a new one for you. That’s because Rodenhiser has 85 years of experience helping families just like yours. Call us and schedule an appointment today.